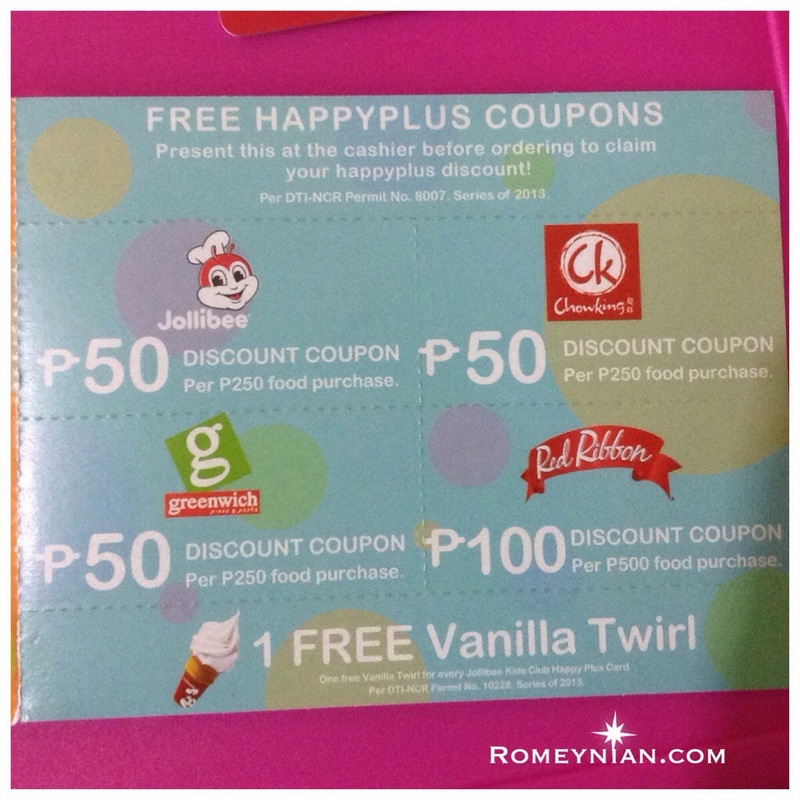 Jollibee has made life easier by combining in one card the Happy Plus Card and Jolly Kids Club Card in one single card. The best that you’ll get from this card is that it does not expire! You don’t have to renew it annually according to the Jollibee staff. 1. For every P50 food purchase you earn one (1) happy point. One happy point is equivalent to one (1) peso. 2. You can also earn points by attending Jollibee Kids Club workshops and other exciting activities. 3. You can double your points with every purchase of Jollibee Kids Meal. 4. Every month you get a chance to win up to P100,000. You must reload your card to earn a raffle entry. 5. 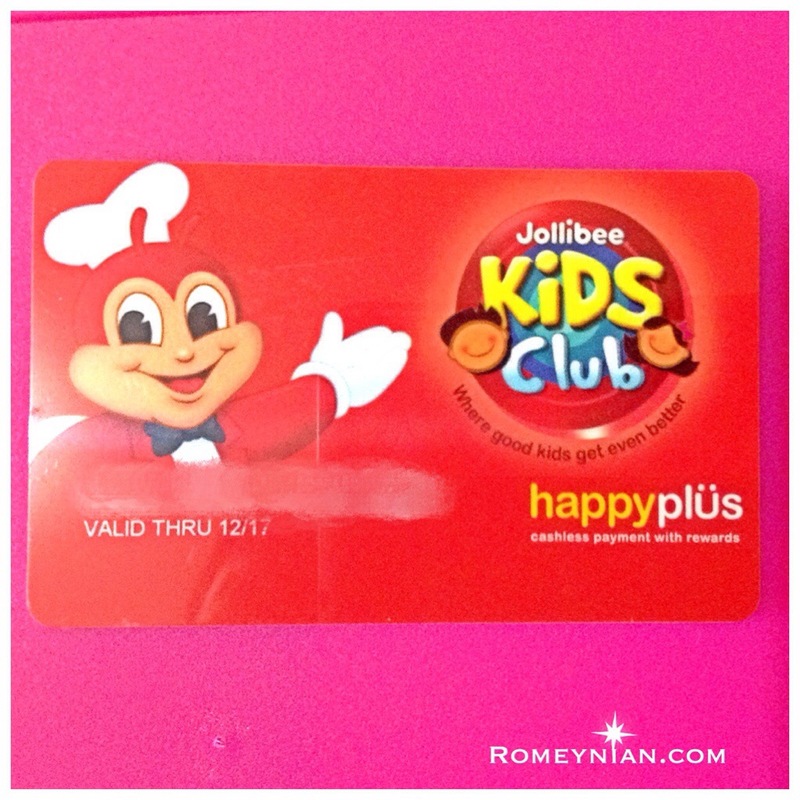 5 FREE Jollibee Kids Party GC worth P6,000 will be given away every month. The more you reload the more raffle entries you get. This is not an ordinary point earning card. It’s like a debit card. You load it with cash and use it to pay your meal. The only annoying part is you can only load it with any amount that has to be in hundreds, like P100, 200, 500, 1000. You cannot load any amount less than 100 nor amount like P125, P100.50. So if you buy something that’s worth P56.00 you have to load your card with P100 or if your purchase is worth 105.00 you load your card with P200. But don’t worry any unused amount is stored in your card and you can use it on your next purchase. If on your next purchase your card has a stored value of P95.00 and your purchase is worth P75.00 you don’t have to load it they’ll deduct it from the stored value. It’s comes with discount coupon. This card is also honored in Chowking, Greenwich, and Red Ribbon. Get a SHAKEY’S SUPERCARD for FREE! i have a happy plus card. can i renew it into this happy plus and kiddie card all-in-one? Hi Karen! Yes you can renew your old card to their new all-in-one card. But I’m not sure if the points are transferrable. I also have an old jollibee card but they didn’t offer nor mentioned about transferring my points. How will I join the raffle? Will I automatically joined everytime that I earned one when I am reloading my HP card? Hi Laarni, yes you are automatically joined in the raffle each time you reload your card. Hi. Saan po pwede makuha ang combined HP and J kids Club card? I have here a plain HP card and i wanted to have the Kids Club card for my kids, magkano din po babayaran? Thanks a lot! Hi! The crew said it does not expire because the card is like an ATM. Hi Eugene thanks for the info. Will check with Jollibee.